I kid ye not. 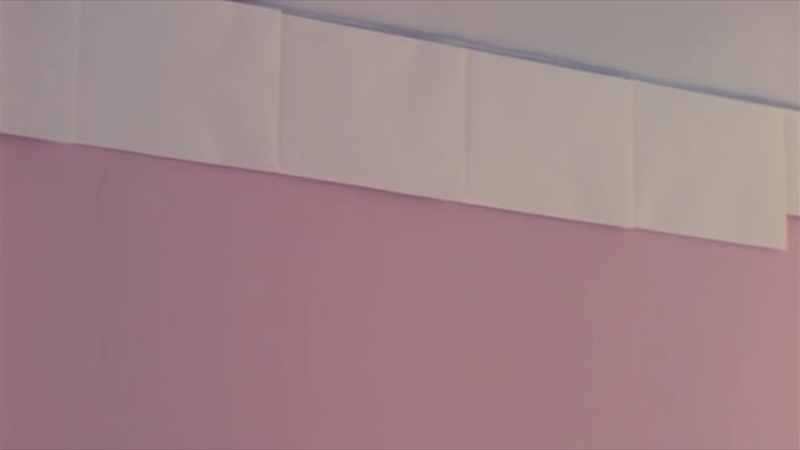 They did not only scotch-tape copy-paper over the top of the walls (it’s speculated that it’s hiding children-friendly illustrations since the scene was recorded in someones baby-room(allegedly)) but they also made sure to film a closeup of this to use as cutaways for the dialog edits. Ok. Some may know that whenever there’s a discussion about “worlds worst movie” and I’m asked about which I think qualifies I always bring up 2009’s epic failure of narrative fiction called After Last Season. Never heard of it? I do not blame you. But it doesn’t end there. Oh, no. Then the rumors started to come in about the production. That the film had a production budget of around $ 5 million. That most of it was basically just a scam to get away with as much money as possible. Because supposedly this wasn’t a Tommy Wiseau level passion project gone awry. No. This was supposedly a hoax all along. And when we see what the unsuspecting moviegoers saw at release… that theory didn’t sound all that far from the truth. The blank guns barely worked (most of the full auto-fire on screen is looped because the guns would more often than not just fire once and never cycle). Action set-pieces was pieced together with shoestring and Rodriguez himself even became a human guinea pig for medical science to pay the meager bills the production amassed. I mean. The guy should write a book on how it was made. Ok. You say. Not even the same genre, so how is it compareable? No. I am certainly not joking. This. This is what was shown as a theatrical feature. And watching the full thing? Even worse. Giant stretches of awkward silence. Barely audible dialogs that go nowhere. Characters brought up and forgotten. Set building that… is just kind of a warehouse when it’s not an obvious home standing in for a top of the tier university hospital. And. Copying paper. You will be fascinated by what they can expect us to accept with copying paper. Yes. 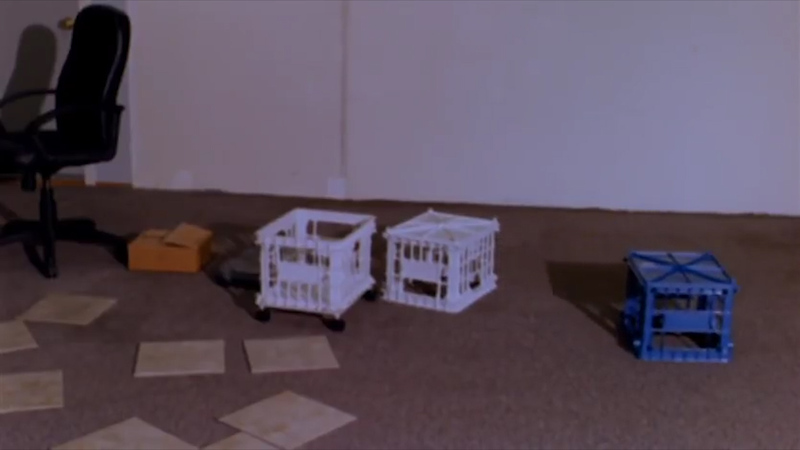 That is a cardboard MRI-machine in a movie allegedly produced with a $5millon production budget. The list just goes on and on. Oh and those CGI-sequences. Those ENDLESS CGI SEQUENCES! The little yellow doton her temple is a “chip” that makes mind-sharing possible. I think it’s a human again? So why do I bring this up with the title of this blog-post? Well. Because a few weeks ago. After a couple of social media conversations I started to think about this film again. And ideas started to brew. What if… What if one could salvage something from it? At least glean a little about its narrative structure. I have an NLE. I have a legally bought copy of the released film (which wasn’t easy to obtain) on DVD. And this is bringing me down a rabbit hole I was not expecting to go down. I ripped the video. Threw it into Premiere Pro and started the dissection. Step one. Simply replicating the edit. This is the most tedius part. It’s just me going through the film shot by shot and putting in cuts where there already are cuts in the original. It’s the ground-work. And it will help me navigate later. I sadly have no screen-shots of this step. I forgot about documentation. Then. Step 2. Going through and just trimming anything that is dead space without doing obvious edits like jumpcuts and the like. This brought the runtime down from the original 1:30:28 to a pretty lean 01:08:50. I also took the liberty to speed up any footage that need not be as long but had no obvious edit-points (I’m looking at you, CGI-scenes!). That was a couple of weeks ago and I put the thing away for a while to focus on some things more pressing. But the project still lingered in my mind. And today I took another stab at it. This time I wasn’t nearly as careful. I brought out the weed-wacker and took out all the empty space even if it resulted in jumpcuts (I managed to hide a few. But it wasn’t a priority). I call this step the “Dogme95 version” because of how ruthless I was even though it technically doesn’t comply with their stringent criteria. And the result was a fairly lean 00:54:25 runtime. you may also notice that I added a track above with a cinemascope crop. Now, why would I do that? Well. As other viewers have noted. The film is kind of poorly shot. And it’s surprising how many shots are helped by simply cropping it vertically a bit. Was this an intended step that was abandon in the original Post Process? I don’t know. It just looks like it. The same with the colors. They do look suspiciously flat. Almost like if they shot the film in low contrast or scanned it low contrast to be able to do a real color grade later? We’ll probably never know. But I did go ahead and put both the crop and a layer of FilmConvertPro LUT onto it and it does look a bit nicer to the eyes. Remember though. I am still working with what is essentially a h264 rip of a 480p DVD release that seems to have been made with a soft focus 16mm workprint. So It still looks kind of awful. But just a little less awful makes this all a lot less of an agony. Standard FilmConvertPro plugin to regain a bit of the colors and hide some artifacts with 16mm grain. Again. The cinemascope frame conveniently hides the distracting shadows above. And it’s still lit with those work-lights. And no amount of LUTs will get that ugliness nice. Bask in the wonderful lighting that would make Roger Deakins Proud. Well. I am afraid to say that no matter what the underpants gnomes would want. The next step is not “PROFIT” no matter how far I take this silly little project. This is as unofficial as it gets. I have made no attempt to contact the makers of this film regarding what I’m doing. And I highly doubt it they would be interested, anyway. I simply do this as an exercise in video-editing because it felt like the released cut feels more like a rough early workprint than anything finished. It’s a challenge I gave myself. If I was handed this raw material. Could I get something out of it using the meager skills I have amassed over the years? The one thing I can say however. Is that forcing myself to watch and listen to the dialogs and the visuals have actually starter to get to me a bit I think. I’m starting to put together pieces of the puzzle I never knew were there. 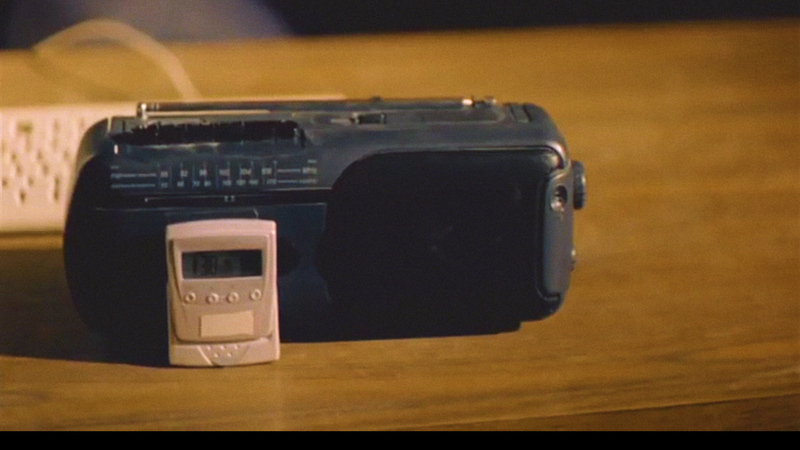 But until the next update I will just leave you guys and gals with what is so affectionately called a “clock radio” and a video about the Rotoscoping techniques that made A Scanner Darkly (2006) that breeds the idea that maybe what we have here is a film that was meant to be the rotoscoped or at most of the image would be replaced in post.